Tham & Videgård Hansson Arkitekter / Bolle Tham and Martin Videgård Hansson. 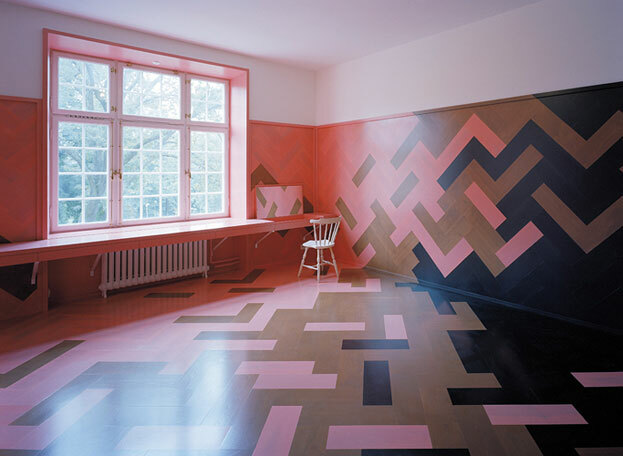 Collaborators: Tove Belfrage, Helene Amundsen, Johan Björkholm, Karolina Nyström. 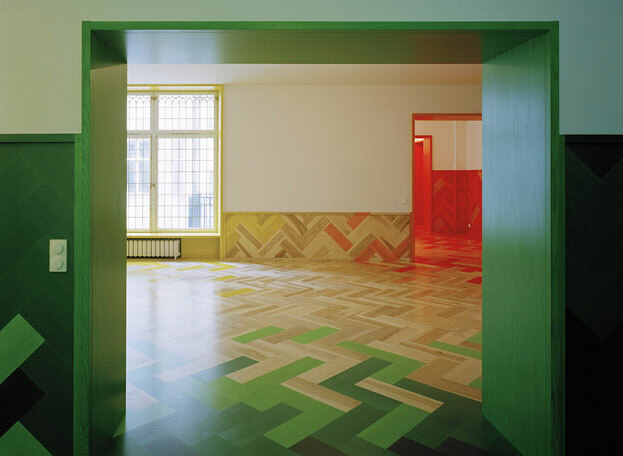 Departing from the traditional Swedish interior use of colour and patterns, developed by artists and architects like Carl Larsson and Josef Frank, this apartment also relates directly to the setting at the park Humlegården where the greenery outside changes with the season. From winter grey and black to summertime bright and deep green, to orange, red and yellow in autumn. 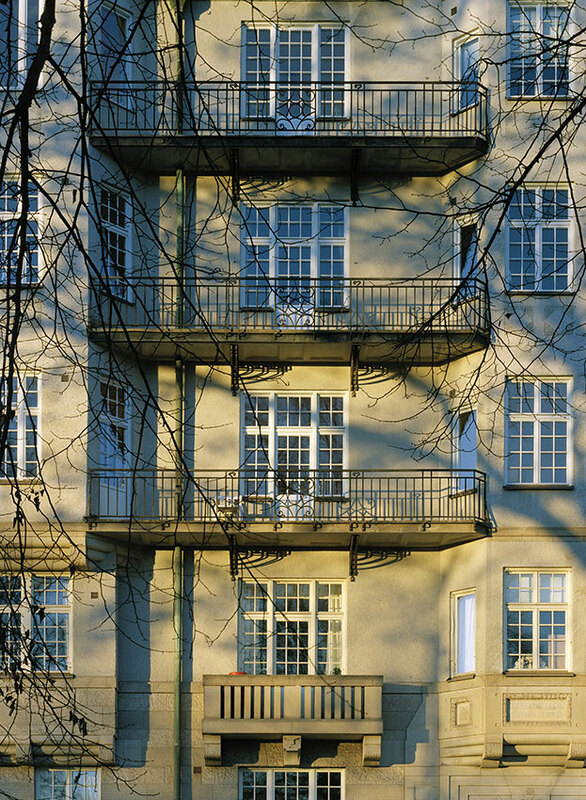 Our first starting point was to re-establish the well crafted quality of this once high-class turn of the century apartment (late Jugend / Art Nouveau (1800/1900) that had been totally altered, and even for some time transformed into a hotel, leaving very few traces of the original. 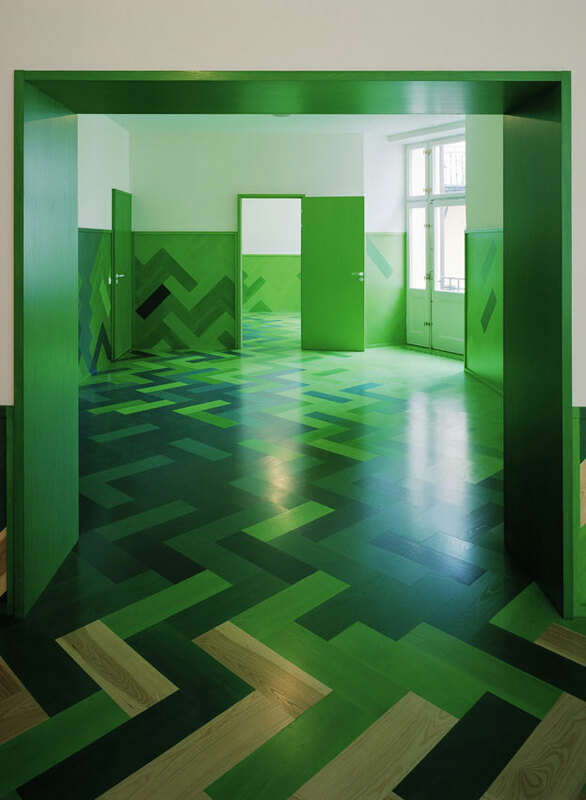 Inspiration was in part the location and the quality of a long row of rooms relating the greenery in the park outside, very present also in the interior spaces. 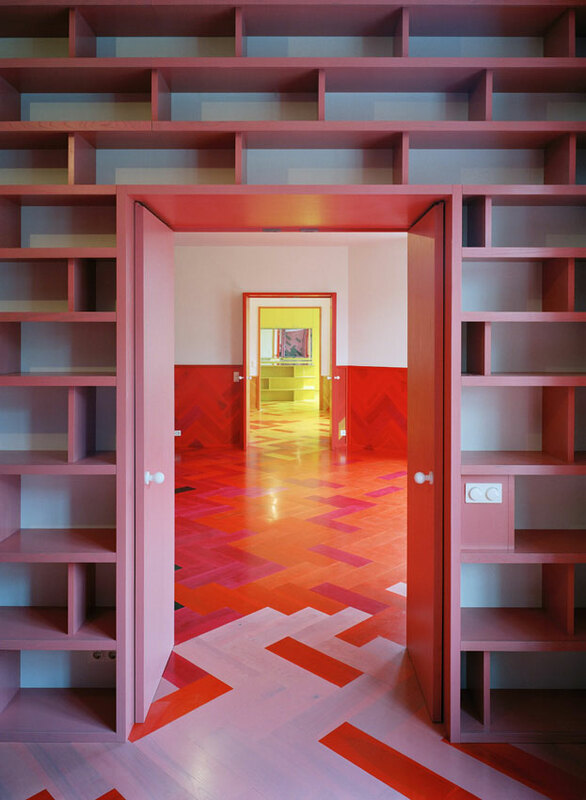 But equally important were the idea to address and experiment within the Swedish traditional use of colour and patterns in interiors developed by artists and architects like Carl Larsson and Josef Frank. 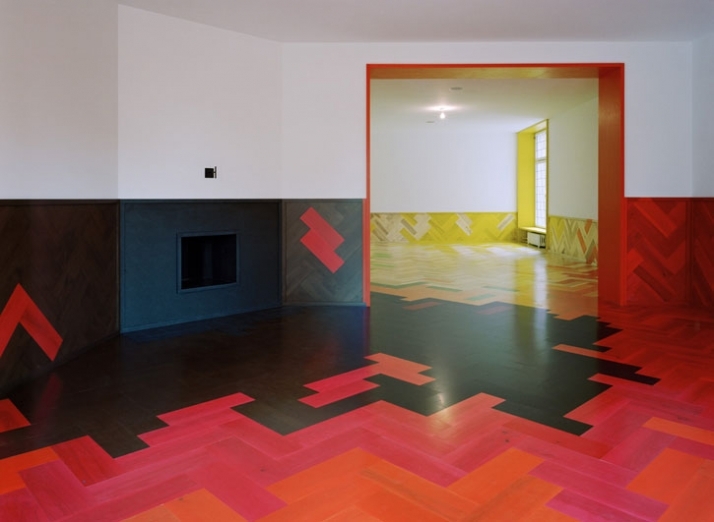 We had also used patterns and colour to order space in previous projects that this family had seen, which made us confident we could find a solution in that direction, something that would connect to both the physical and the cultural context. 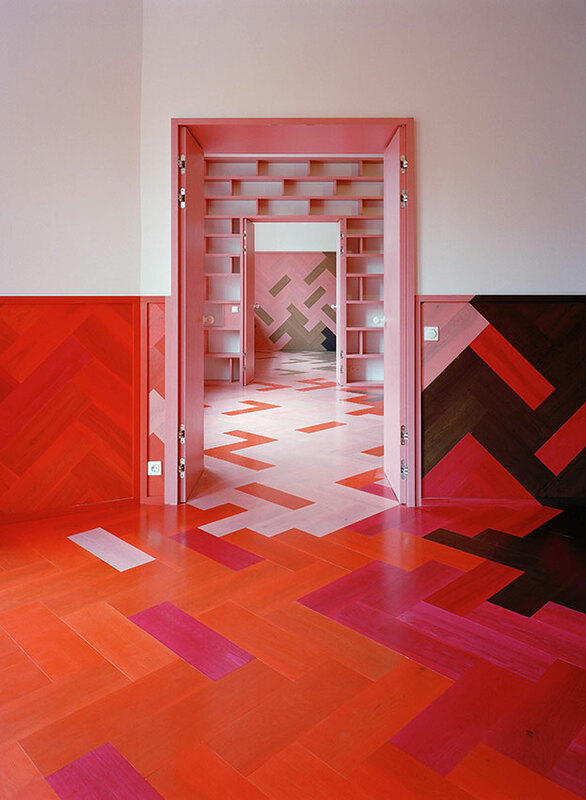 The overlapping colours transform the layout of the apartment and add a new structure of spaces linked to each other across the original plan. 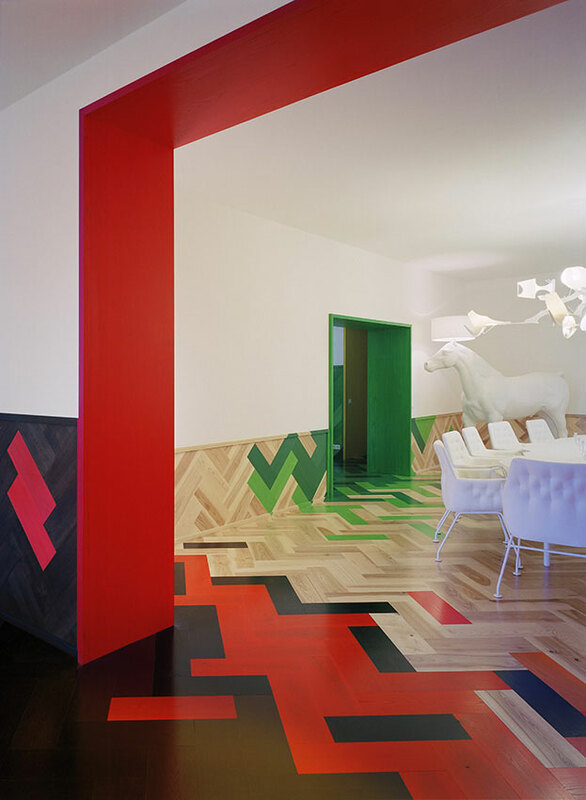 The parquet floor also function as a uniting system that offer design possibilities. 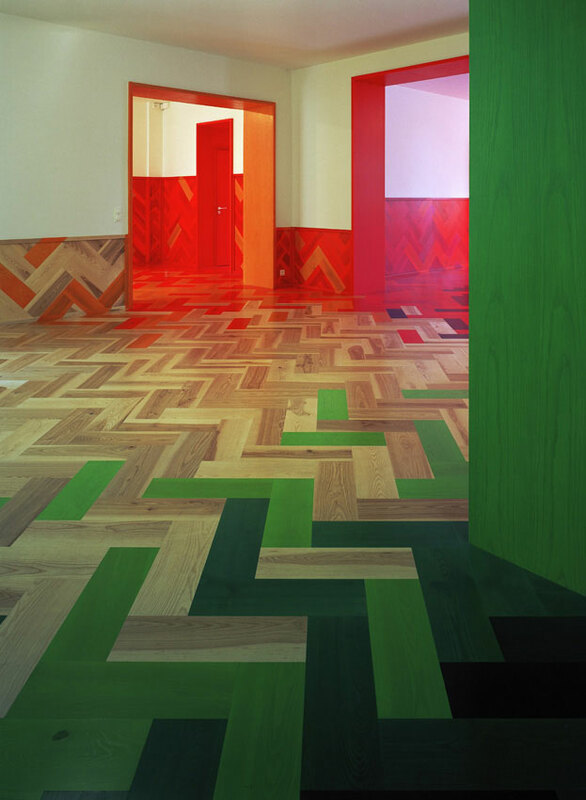 Once we had a set up of colours in different shades, we could develop each room in relation to the others, every piece of parquet was defined to fit into the right position, there was no random factor in the construction process. 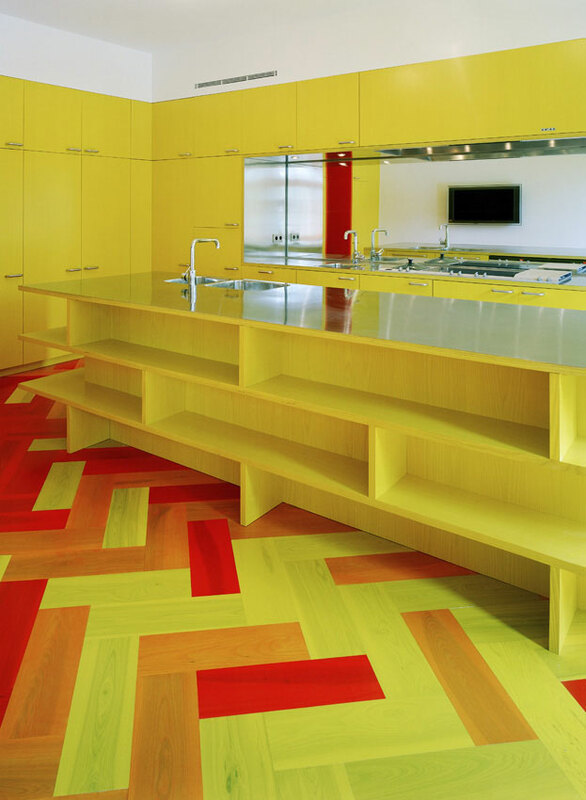 We are always interested in finding ways to detail and produce architecture that combines contemporary industrial processes with the quality of crafted materials and details. When it succeeds it means that the result is easy to build and comes across as very well constructed. 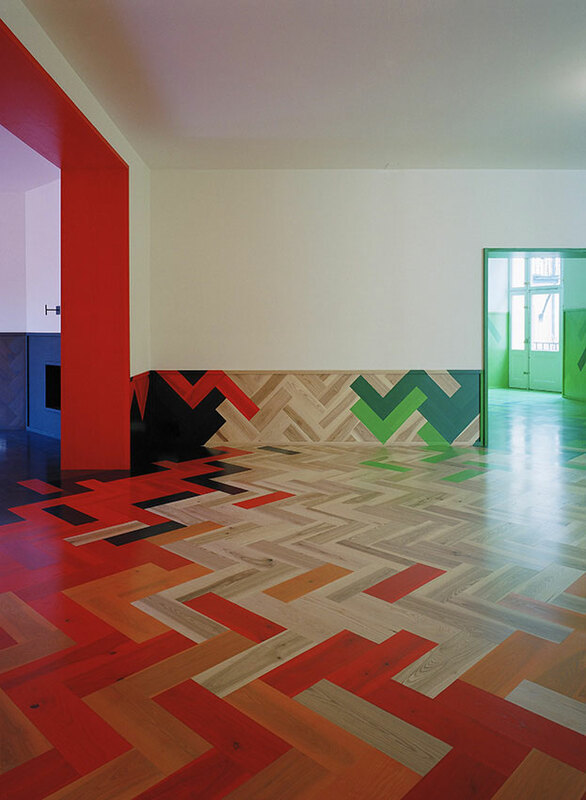 The parquet is one example. 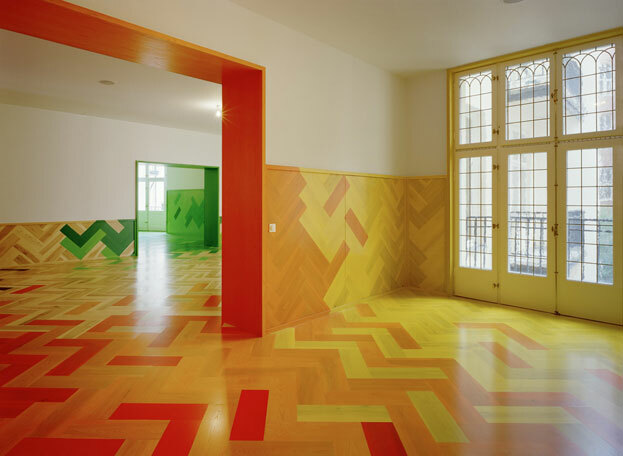 parquet: oversized and natural ash parquet floor, 20x60cm. 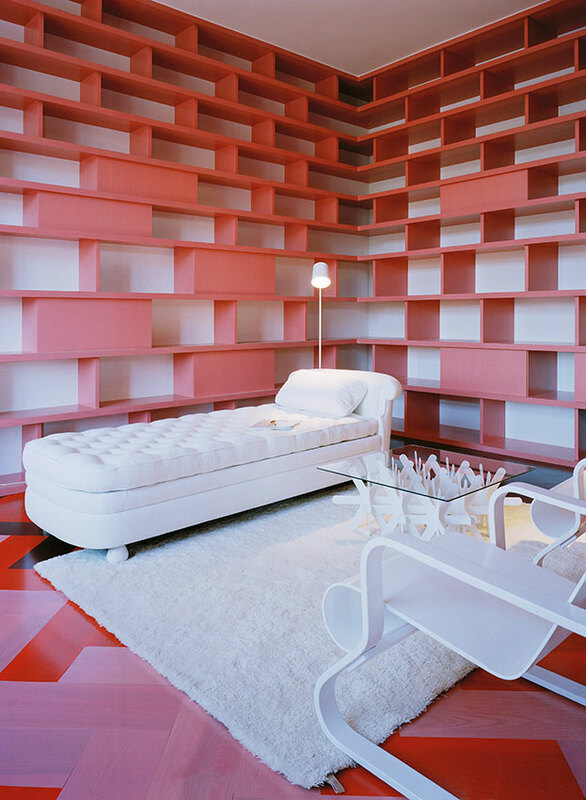 white furniture: when its all rendered in white, the physical design of each furniture is highlighted. At the same time it made it possible to create a coherent ensemble including pieces from very different designers and times. Some features like the leaded windows are preserved also because it wouldn’t work for the exterior to take away those windows, its a protected building. Actually the only reason we could redo the interior is because it had already been altered, otherwise it had also been completely protected. Client: They client had seen some of our projects including and thought our practice could do a contemporary interior other than the standard blond Scandinavian. 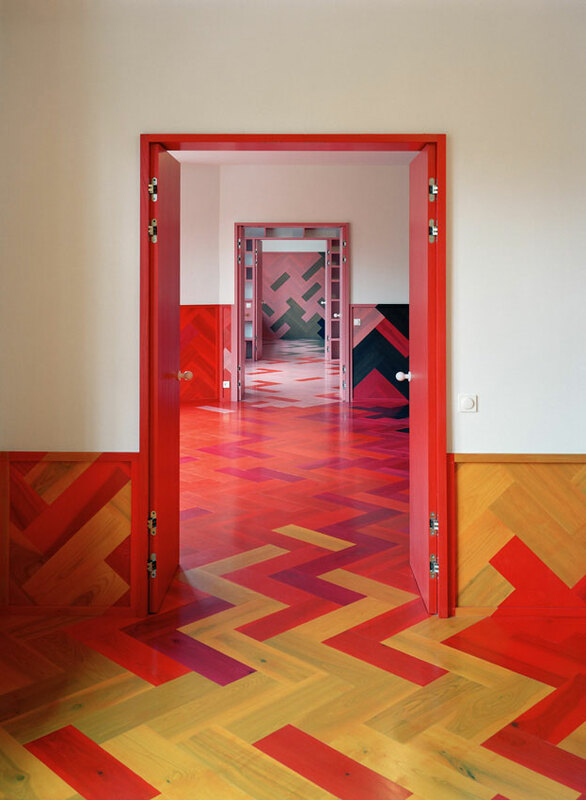 They were clear about their admiration for Swedish designers such as Frank and that they were looking for something contemporary, even experimental. 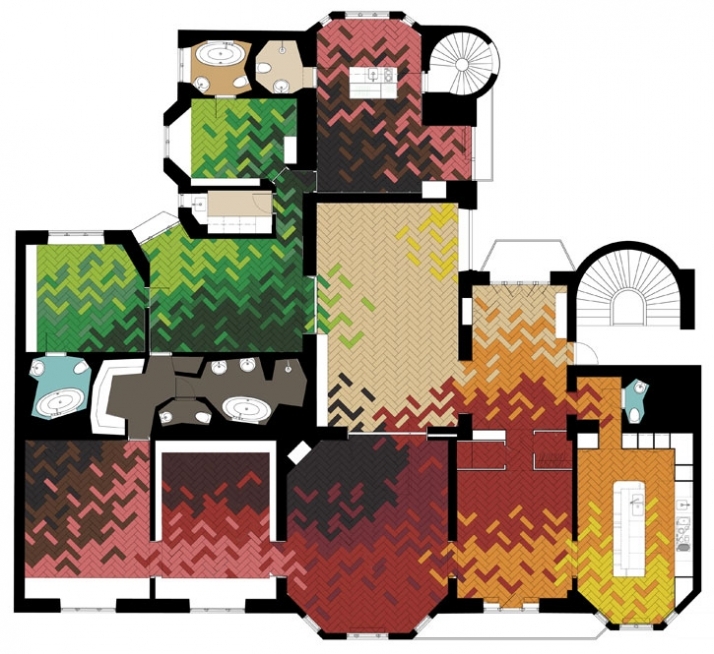 The brief consisted of an apartment for a family of four + a guest studio for visiting relatives and friends. 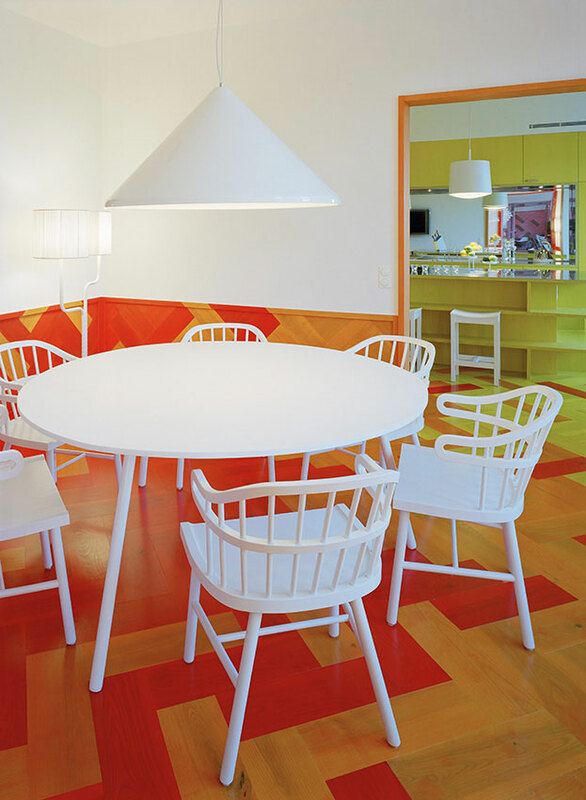 One-offs: in this apartment we did the Almost round-table, the Sweden dining table, the carrara hexagon table, the triangular children’s table, and the white Hexagon museum bench in the entrance, originally designed for the Kalmar Museum of Art.